Coffee Origins Travel team strive to introduce coffee lovers to the rich culture and history behind coffee. They operate a series of experiences throughout Europe, Central America, South America, Africa, and the Asian Pacific. 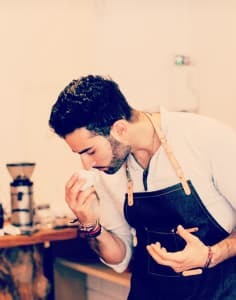 They are also organising workshops and tours in the most interesting cities where the best speciality coffee shops are! On these experiences, coffee lovers will bear witness and take part in coffee harvesting, cropping, roasting, cupping, brewing, and of course drinking. In this way, our tours are a mean to experience coffee like you never have before. Unique road trips for coffee lovers. These are tours or workshops designed for simultaneous learning and fun. All directed toward that bean we adore so dearly. When you are exploring with Coffee Origins Travel, you can count on adventures around every corner and experiences that you will not find anywhere else. These experiences are authentic, guaranteed and unique. They will take you into the heart of the world of coffee, from its humble beginnings to its auspicious rise, all the way through to the present day. You will see coffee in a new light and gain of it an even deeper appreciation than the one you currently harbour. 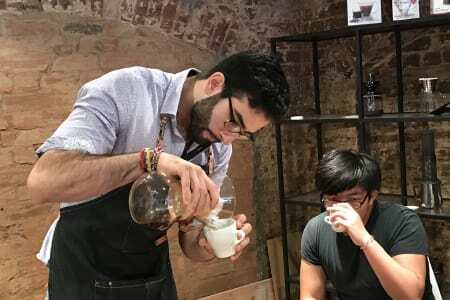 Their workshops in London are unique for every coffee enthusiasts travelling to London or living in the UK. They share their entire experience as well as the latest news about the speciality coffee industry. Independently organised, the team partner up with several coffee shop where they give those experiences. Tasting, Cupping, Spirits preparation, Coffee Shop tours, Food Pairing are some of the workshops that they organise throughout the year. Join one of them and become a potential home barista!